HP 2510p GM651AW#ABD 12'' WXGA U7600-1,2 1GB 80GB DVDRW WL BT Vista Bus. 3J.Gar. 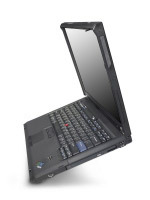 Lenovo Thinkpad X61 CTO 12" XGA T8300 2GB 120GB agn BT WinXP 3J.G. HP NC4400 EY605EA#ABD 12'' XGA T5600 512MB 80GB WL BT FP 1,8kg XP-Prof. 3J.Gar. Thinkpad X61 UX2J3GE 12" T8300 2,4GHz 2GB 160GB agn BT FP 4c 1,4kg VistaB. 3J.Gar. Thinkpad X61 UX2J5GE 12" T8300 2,4GHz 2GB 160GB agn BT FP 4c 1,4kg VistaB. 3J.Gar. FSC Lifebook T4220-01DE T7250 12'' XGA tablet 1GB 120GB DVDRW VistaB.+XP 3J.Gar. HP 2710p tablet CTO U7600-ULV 12'' WXGA 2GB 100GB WL BT X3100 XP-Prof 3J.Gar. Thinkpad X61 TABLET CTO 12" XGA L7500 2GB 120GB agn BT XP-Prof. 3J.Gar. FSC Lifebook VFY:S6410-01DE T7700 13,3'' WXGA 2GB 160GB UMTS Vista-Bus. Cam 1,7kg 3J.Gar. FSC Lifebook T4215 12'' T7200 1GB 120GB UMTS DVDRW WL BT FP 3JGar. VISTA-Bus. FSC Lifebook T4220-02DE T7700 12'' XGA tablet 2GB 160GB UMTS DVDRW VistaB.+XP 3J.Gar. Notebook Thinkpad X60 Tablet UU0A7GE 12" L2500 1GB 80GB FP BT abg FiWi 8cellsAkku XP-Prof. 3J.Gar.